Some people who haven’t found the right partner among their same species, they have used unconventional solutions in order to seek stability with the proper partner as animals or other strange things.. you can discover here many strange wedding stories ..
An Indian farmer suffered from many obstacles and diseases, he discovered by a teller that the cause of these obstacles was that he hit two dogs with a stone during the harvest. 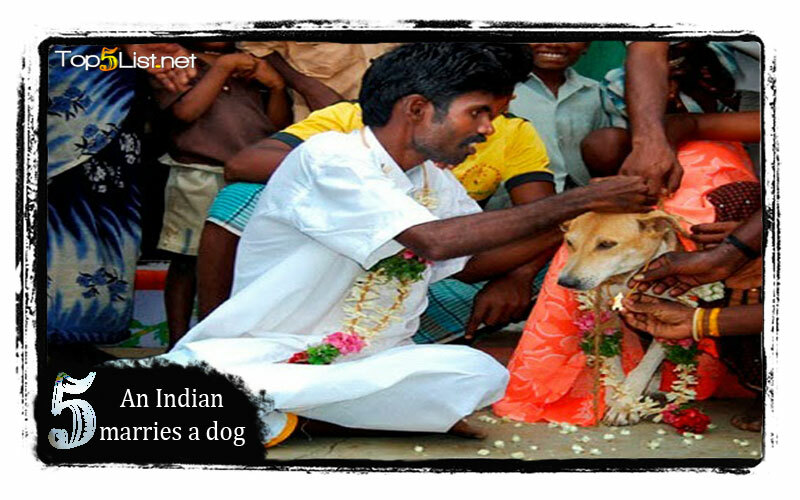 That’s why, this Indian farmer decided to marry a dog in order to discard the bad luck. 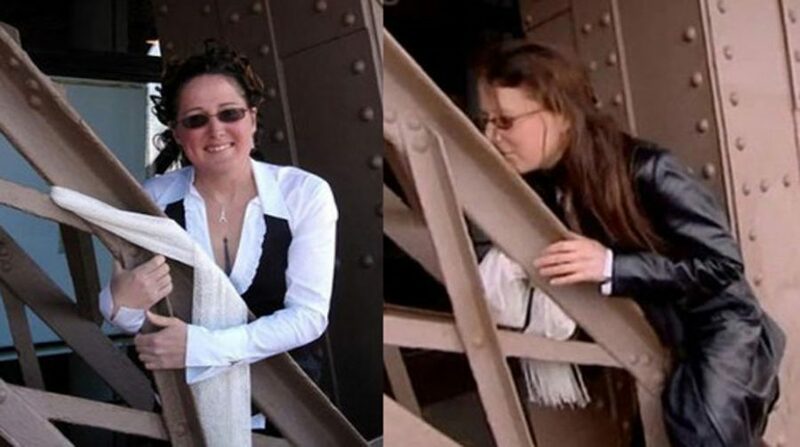 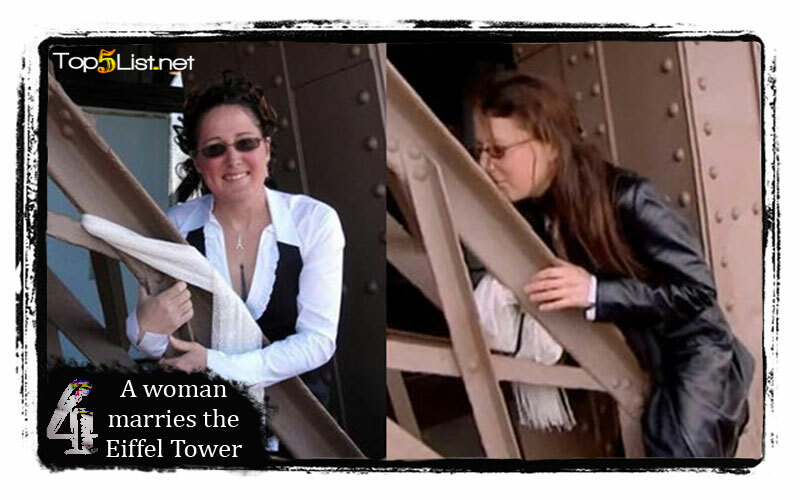 In 2008, an American woman and former US Army soldier announced that she fell in love with the “Eiffel Tower” in the French capital “Paris”, so she went there to get married at the tower.